Showplace End of Summer I at HITS Balmoral Park has come to an end as riders prepare for week II and the $500,000 HITS Chicago Grand Prix FEI CSI5*. The jumpers took over the property this week for some unparalleled competition in the Grand Prix ring. The week began with the National competitors riding for the win in the $5,000 Johnson Horse Transportation. Kelli Cruciotti rode to the first place finish aboard GRANDY DE LAUBRY in a jump-off time of 35.605 and also finished fourth aboard ENERGY in a jump-off time of 37.626. Second and third went to to Todd Minikus with LORD CALADOR and LUKEN DU ROUET in jump-off times of 35.750 and 37.264, respectively. Rounding out the top five was Lisa Goldman and NIKE in a jump-off time of 37.798. 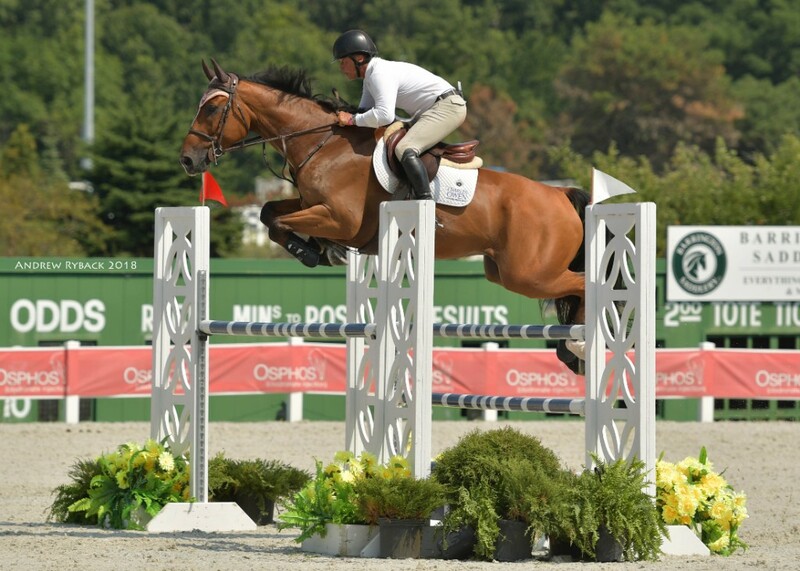 Todd Minikus and LORD CALADOR, winners of the $10,000 KindredBio Open Jumper Prix. Kicking off the FEI classes, Christian Heineking flew to a first place finish in the $35,000 Balmoral Park Welcome aboard NKH CARUSO in a jump-off time of 39.22. Second was Minikus and CHAVENTYNO in a jump-off time of 40.15. 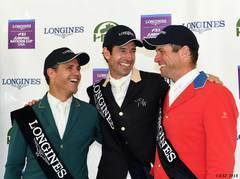 HARDROCK Z and Andrade were third in a jump-off time of 40.18 and Goldman took fourth place aboard SOVEREIGN in a jump-off time of 40.85. Candian Beth Underhill and COUNT ME IN took fifth place in a jump-off time of 40.93. "The venue has so much to offer. The footing is top notch, stabling is great and the place is so horse friendly. It is just a super place uniquely created from one of the old great race tracks. I hope everyone supports the effort. Balmoral Woods golf course is a wonderful course and in awesome condition. I enjoyed the experience." "After having some time to walk around the grounds today and take a closer look, I am more than happy to say that this place is more than cool and offers a visitor a chance to step back a bit with the history and tradition that is still evident here. A short walk through the grandstand building and the chance to look at plaques and photos on almost every wall gives one a chance to think about the great horses that were here.The re-purposing of this facility is very encouraging to see and it's worth a visit to any fan of horses and history." Top: Christian Heineking and NKH CARUSO, ride to the win in the $35,000 Balmoral Park Welcome. Bottom: Beth Underhill and COUNT ME IN take the win in the $50,000 Adequan Grand Prix FEI CSI2*. Underhill came back on Sunday, to take the win after a skilled first round and and an exciting jump-off, with her mount COUNT ME IN in a jump-off time of 33.82. Underhill, who has shown at HITS Balmoral Park previously this summer, was thrilled to be back and reiterated that "The footing is wonderful and the stalls are some of the most beautiful I've seen." 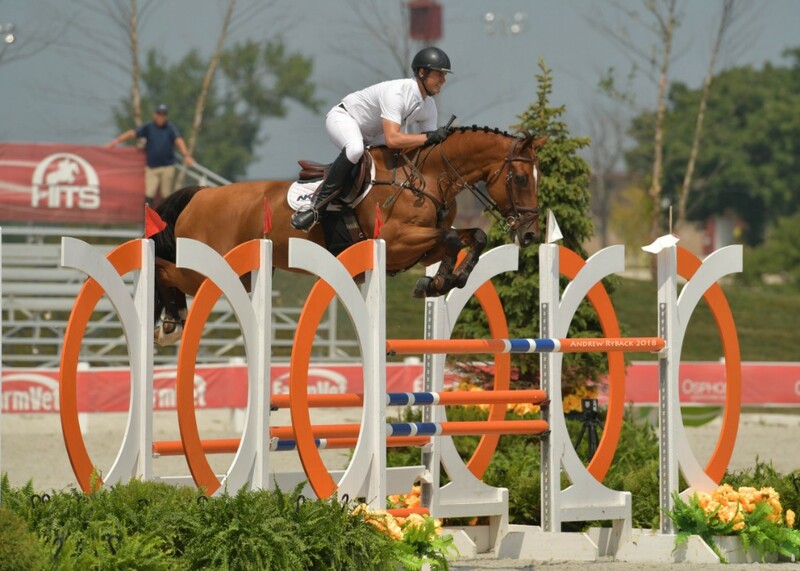 Underhill will be back for Showplace End of Summer II next week for more FEI competition. Riding for Ireland, Kevin Babington was second in a jump-off time of 34.33 aboard SUPER CHILLED. Babington, who was showing at HITS Balmoral for the first time, raved about the facility. "I'm really impressed with this facility. John Madden called me up to see how the footing was - what could I say but that it is great!." he said, laughing. Beezie Madden will be joining Babington and over forty other FEI riders next week for the $500,000 HITS Chicago Grand Prix FEI CSI5*. David Blake, also representing Ireland, was third aboard KEOKI in a jump-off time of 36.04, being the final rider to qualify for the jump-off after a successful first round. 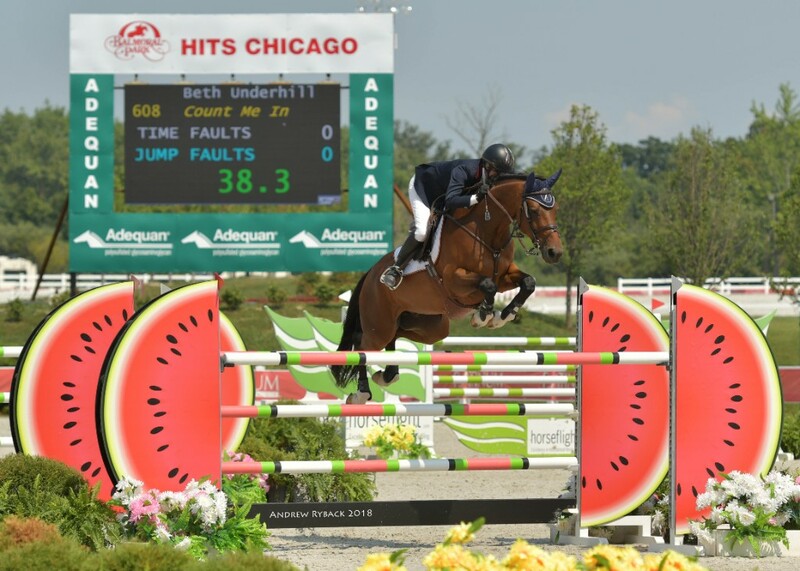 Join us at HITS Chicago next week for more FEI competition, including the $500,000 HITS Chicago Grand Prix FEI CSI5* and Pawlooza on Sunday, an event to benefit the American Cancer Society! Visit hitsshows.com for more information.